A new bill on the development of cruise travel in the Arctic and Russia's Far East and new opportunities to develop more flexible itineraries is expected to increase the number of tourists by up to three times, according to Deputy Minister of Economic Development Sergei Galkin. 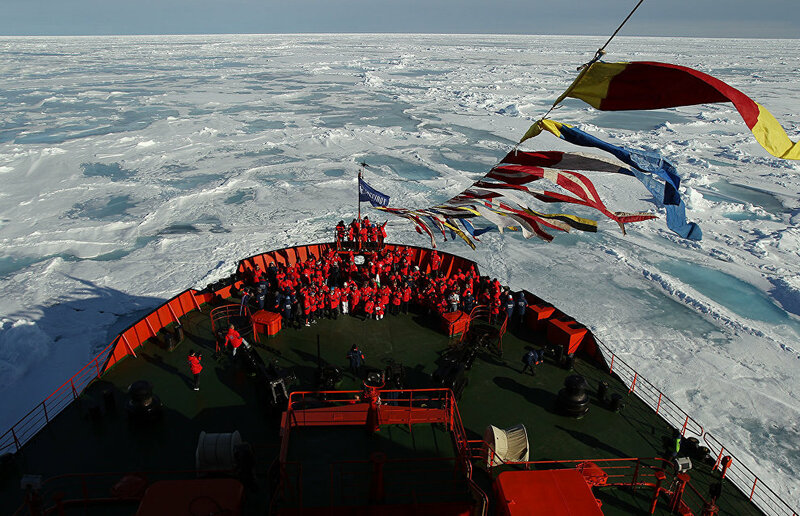 At a plenary meeting on Tuesday, a bill on the development of cruise travel in the Arctic and Russia's Far East was passed in the first reading by the State Duma. Also, a list to be approved by the government includes specific ports or stops where travelers onboard foreign cruise ships are permitted to board and disembark. Galkin added that for the present time, a small number of ships (up to ten per year) will be involved in tourism in the Arctic and Far East. "Once the bill is passed, hundreds and thousands of foreign tourists will want to travel there but we hope that when the permit for flexible itineraries is approved, the number of travel companies and tourists participating in international cruise travel will increase. We estimate that the current numbers will double or even triple," he said at the State Duma meeting. "However, we need to remain careful about the increasing number of tourists because this is a unique rather than a mass product. It is important that the itineraries work out and the economy demonstrates growing demand," he stressed.